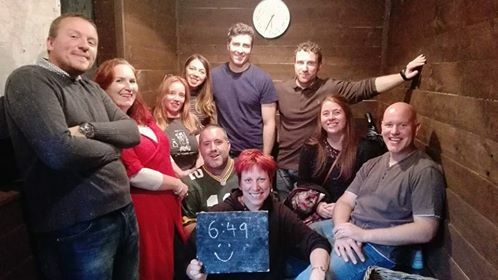 So at the weekend Lee and I together with James and Angela and Matt and Carly all booked into Escape Room in Southend to try and escape from "The Cabin". We were teamed up with 2 other couples and although I would have prefered to do it ourselves, we did all work well together. So much so that we managed to solve all the clues and escaped with nearly 7 minutes to spare! If you're never taken part in one of these activities, then I highly recommend it - such fun. Bring on the next one!